As I watched IN THE HEIGHTS at Village Theatre last night, tears were pouring down my face. Then my laughter was contagious. I get it! I really do. I am a mother of a high school senior and a college sophomore. The show spoke volumes. I was impressed with the thought of the child's perspective. 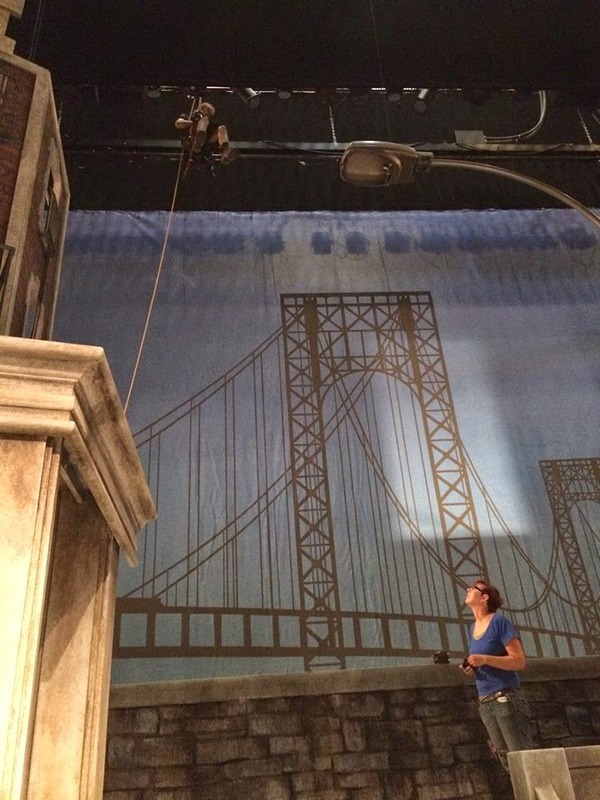 The story is set in NY and the stage was authentic. The moment was very real for me when I felt the pain of the cast members. The dance scenes were set to music that is very relevant and included powerful lyrics. The lyrics were perfection. After the show, the director meet our little group of students and spoke with them about the love of theatre. The students asked great questions, like "What is your favorite scene?" Even though he didn't select his favorite scene, he did say that the "lyrics" were his favorite part of the show. And, we all agreed. Every parent should take their kid to see this show! I am so glad I was able to spend the time with my daughter. It opened up the opportunity for me to talk to her and share strategies she can use to deal with the stresses of going off to school and making her own way. As parents, we often lose touch with what really matters to our kids. The security of home and the rigors of trying to do it alone. Sending your kid off without enough money and putting it on them to work to make ends meet is a reality of life. But, it's not as easy as is seems to you. Remember that! When I think of every phone call I received from my college freshman with all of her little dramas, I was able to see how those things could overwhelm her to the point of wanting to give up. It's hard to be far away from your family and be the "one" that is going to make it! That is a lot of pressure. Future blogs will address tips on how to help your kid be more independent at college! 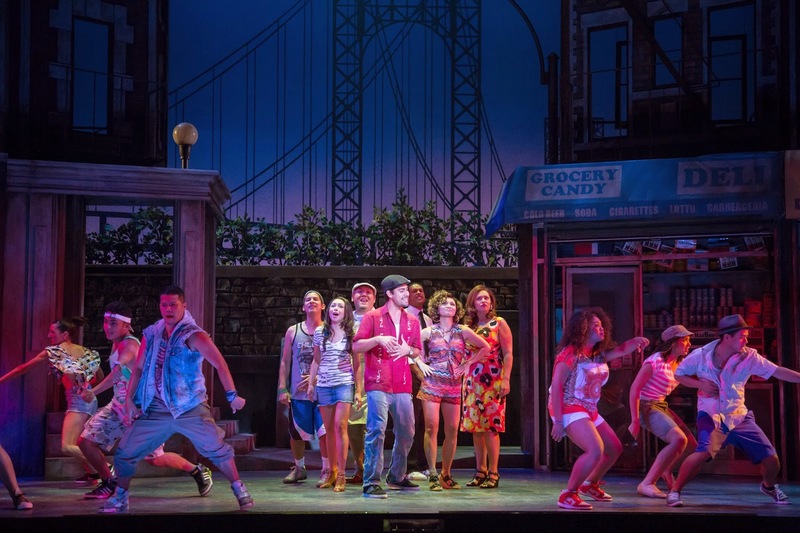 IN THE HEIGHTS: A truly original masterpiece of Musical Theatre, IN THE HEIGHTS won the Tony for BEST MUSICAL and was nominated for the Pulitzer Prize because of its unmatched combination of a non stop Hip-Hop/Salsa/Jazz score, heartbreaking characters, and world class dancing.